There’s no such thing as good weather, or bad weather. There’s just weather and your attitude toward it. That’s a segue from the last blog post to this one, and the statement was made by Louise Hay, who passed on today. I didn’t say “died,” because she’s immortalized in her contribution to society, to the collective psyche, to the evolution of humanity’s understanding of itself, especially those strands in the human tapestry that took the great detour with Western Science that drove a wedge between body and mind for a few centuries. Louise Hay published Heal your Body over 40 years ago, and its expanded version, the seminal You can Heal your Life, continued to chart on best seller lists 20 years after publication . It continues to be a dog-eared reference for healers the world over. Most of it can be found on line now; I consult it every so often, taking it for granted like many of a certain age have the dictionary, or the phone book, or Scripture. So it is I make an extra post to acknowledge a luminary, a remarkable woman, who used illness in her own life to learn spiritual lessons, and then shared what she learned. Many others have followed her journey, and some have further researched and refined her teachings. What she taught, each of us has the capacity to learn. But she forged for us a path and permission for remembrance. We are all students and teachers. Ask yourself: What did I come here to learn and what did I come here to teach? Like this woman who posed it, none of us should really ever stop asking that question. I ration my news exposure; most news is as much toxic hypnotism as information. And after catching one too many of these litanies of undiluted demoralization recently, I began crafting an OP ED piece suggesting a simple change to the conventional news delivery system, which had the potential to change the course of democracy. That piece was still in the works when Harvey hit Houston. Hmmm, sounds like a Seuss book if ever there wooz one. 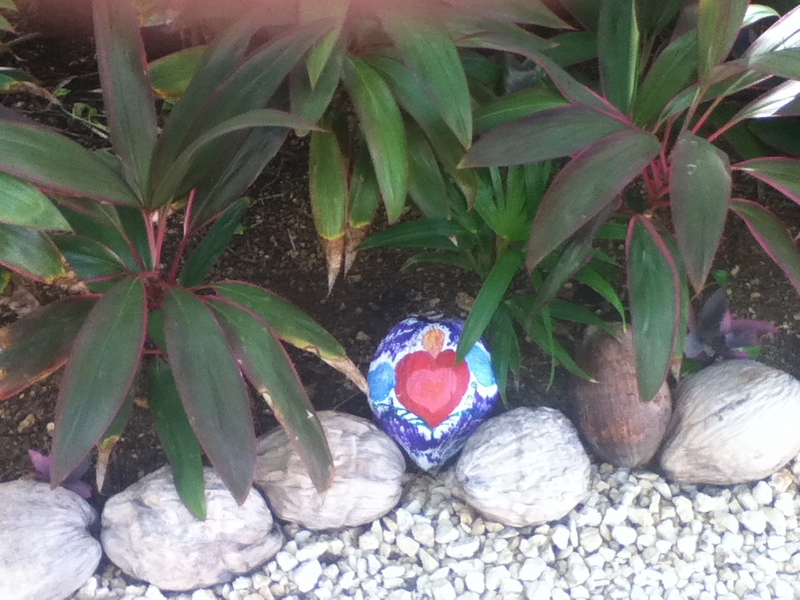 Then I noticed something heartening. The media seemed to be making some new choices. I caught a segment on a friend’s T.V., in which they chose to interview a portly Caucasian woman recently rescued from her home (with her little dog). She reported that she’d been offered shelter by a family; and as she concluded her statements, the camera zoomed out to reveal a man of Latin American or other brown heritage, holding an umbrella over her. This was the gentleman who had invited her to his home, where she would join rescued members of his own family and of another family, whom he had yet to meet but had offered shelter. Not only was I touched by these stories, but I could see the statement made with each story, one to counter the climate of Trump. This morning, Richard Rohr’s daily meditation happened to discuss the story of Noah! Coincidence? I wonder. Since Rohr’s meditation cover a theme each week, and the parsed segments may in fact be extractions from one of his books, I’m not sure if this was planned; but the relevance could be lost on no one. And it furthers the point I’m making here, and that Higher Nature seems to be making at large this week. The story of Noah and the flood is filled with insight. … God tells Noah to bring into the ark all the opposites: the wild and the domestic, the crawling and the flying, the clean and the unclean, the male and the female of each animal (Genesis 7:2-15). Then God does a most amazing thing. God locks them together inside the ark (Genesis 7:16). Check it out. Most people never note that God actually closed them in! God puts all the natural animosities, all the opposites together, and holds them in one place. I used to think it was about balancing all the opposites within me, but slowly I have learned that it is actually “holding” things in their seemingly unreconciled state that widens and deepens the soul. We must allow things to be only partly resolved, without perfect closure or explanation. Christians have not been taught how to live in hope. The ego always wants to settle the dust quickly and have answers right now. But Paul rightly says, “In hope we are saved, yet hope is not hope if its object is seen” (Romans 8:24). The virtue of hope widens and deepens our foundation. Noah’s ark is not meant to be a cute children’s story; it is a mature metaphor for the People of God on the waves of time, carrying the contradictions, the opposites, the tensions, and the paradoxes of humanity—preserving and protecting diversity inside of a safe unity created by God. (Thinking of it merely as punishing “bad” people only appeals to our lowest instincts and puts us back into meritocracy.) It is no accident that animals are deemed worth saving and that the covenant YHWH proclaims after the flood is “with every living creature,” not just humans as we presume. (Read Genesis 9:10, 13, 15, where it is said three times!) This is no small point, although it has been largely ignored. I may still hammer out the OP ED piece, but my observations this week give me hope that the same forces moving me are moving others in the direction humanity must take. The Big O is a Brotherhood. They speak Spanish to each other but English to me. It couldn’t be any other way. I don’t speak Spanish. But that they assume I don’t, know I don’t, sets me apart…and on edge. The Big O is a Brotherhood of Men. They are so easy with each other—staff and customers alike. When they relate to a woman, it is through unseen gloves of caution; it is to the male mind in her. This isn’t conscious, but it is intentional. Truly, we women meet them there: Both genders steeling themselves into a hyper-neutrality, a sterile tunnel of androgyny, shelter from a storm of history and habit…to exile the fear. We (women) fear dishonesty…duplicity…or worse. They (men) fear our fear, and perhaps, our pheromones. I retreat easily to androgyny, and from humanity, until I choose to love. Love them, for their skill, their knowledge, their labors, their basic goodness, for no reason at all; and I invite in a shower of atomized gold, to disperse the fog of suspicion that all the smart uniforms and disinfectant cannot dispel, and which hangs in the air bound to the addling perfume of vulcanized rubber, which no amount of wishing can turn into licorice. If tires were made of licorice, the world would be a happy kindergarten. On rainy days, we would not drive. We would stay home in our block-party home-schools and break-out groups, learning how to talk and play together and get along. Meanwhile, back at the Big O, my car is now tired, but I am refreshed. He knows…like he knew to talk to me in English…As if he heard these ruminations. He sits down on the wall next to me, like a friend, shows me diagrams and offers me half off an alignment. When I cannot accept, he offers me his hand instead, and we shake with smiling hearts. Goodness hailing goodness. The Big O is a neighborhood; a circle… A Brotherhood of Man. And the Big Oh is that revelation awaits everywhere. Moon eats Sun…balancing truth and power. I have several friends right now on the road to rendezvous with the ecliptic. I’ve had other friends ask me why is this solar eclipse such a big deal?! Frankly, everything has all the meaning you give it. But Meaning is Power; it is food to the mind and soul; and we carry meaning in our depths and subtle faculties that both eludes and shapes daily cognition. Events like the eclipse exert influence on the collective and the individual, and the individual benefits self and cosmos most by participating consciously with both. From what I gather, this is a time to make peace and power with your meaning maker. …Energetically, a Solar Eclipse represents the experience of the void or darkness. It represents the direct earthly experience of cosmic and celestial energy — pure potential and power — for good or bad. It also means what exists within consciousness around the time of this event will be magnified beyond normal experience. … The true alchemical meaning of a solar eclipse is that it is a special, powerful, and sacred time for disrupting old patterns and fostering spiritual growth — especially for letting go of what is limiting from the past and envisioning what is more loving, kind, healing, generative, and fulfilling. So all the Practice we do during this time will bear fruit through magnified power! I’m also struck that in this strange time in which the worst of the human shadow has the institutional power in America (among other places), it is across our land that this eclipse is casting its visible shadow. This is a turning, an opportunity, as the Yin body is muting the Yan body, modeling for us how we as individuals still have the soul substance and capability to stand before power and exert influence, to shield the living (our earth and children), and to assert conscience and truth; to see the power that we have. What is power? you might well ask. To make power your own, perhaps it makes more sense to ask not What?, but Who? To that end, I share a passage from Ruth Gendler’s wonderful collection, The Book of Qualities; it speaks to the path of mastery we must all be on now. Make it your own. Power made me a coat. For a long time I kept it in the back of my closet. I didn’t like to wear it much, but I always took good care of it. When I first started wearing it again, it smelled like mothballs. As I wore it more, it starting fitting better, and stopped smelling like mothballs. I was afraid if I wore the coat too much someone would want to take it or else I would accidentally leave it in the dojo dressing room. But it has my name on the label now, and it doesn’t really fit anyone else. When people ask me where I found such a becoming garment, I tell them about the tailor, Power, who knows how to make coats that your grow into. First you must find the courage to approach him and ask him to make your coat. Then you must find the patience inside yourself to wear the coat until it fits. we must all hold the light for the world while he does. we must stay awake to get the joke. and we may never know why. I cannot know that; nor, maybe, could you. Because the trajectory change required to skirt the illness that took you at away at 74 would have altered your person as much as your passing. Only after you were gone could I see how little I knew you at all. And this is all for the best; if I cannot know who you were, are, or would be, I cannot attempt to please you or be you. It was an eclipse of the self. This started even while the Light still flickered your eyes, shone molten through the cracks in the disintegrating curtain of your form. as we three reaffirmed the plan we must have made long ago, as One. in every triumph of truth and beauty—in the sky, in song, or in Man. To thank you today, I must turn and face myself, and bow. Each year, a dear old friend lifts me out of the conundrum of my life for a week beside the ocean, where sea and sea level and work healing magic, and two friends since college days, bonded through music and history, can catch up and sing a few songs where the breath is easier to catch. This year it was Mexico. I confess, although I’ve lived in two U.S. border states for considerable chunks of my life, I’d never been much farther into Mexico than Nogales. It was high time, even if I was at low ebb. It isn’t that Hidden Beach, on the Mayan Riviera, is hidden really; more accurately, there isn’t much beach there at all. Unless you count what’s under water. There is a narrow strip of shell-crumble sand sloping into the water at low tide. Most of the finer sand is up on a platform “beach,” man-made and furnished with chaise lounges, tikki canopy beds, and palm trees (periodically peed on by a little drip system, to nourish their shallow roots). This shelf is shored up by a short, lime and pumice stone retaining wall whose generous mortar spaces are inlaid with petrified shells, crustaceans and coral. This handiwork gives me the sense of childlike ebullience and resilience that I would get from the faces and hearts of the locals, and that the ocean draws from my own travel-worn depths each time I return to her. Here, to get to swimming depths friendly on the knees, a determined vacationer must wade out 2/10 mile or so, through shallow water, on abrasive rock and reef bottom. If you have the right shoes, and you give yourself to the experience– to gleefully breaker blocking through the gradually deepening surf– it’s worth it. Soon the water drops below body temperature. When no one is in the water, the fish roam in close, but they vanish when a person wades in. No doubt they smell distant cousins oozing from our pores. 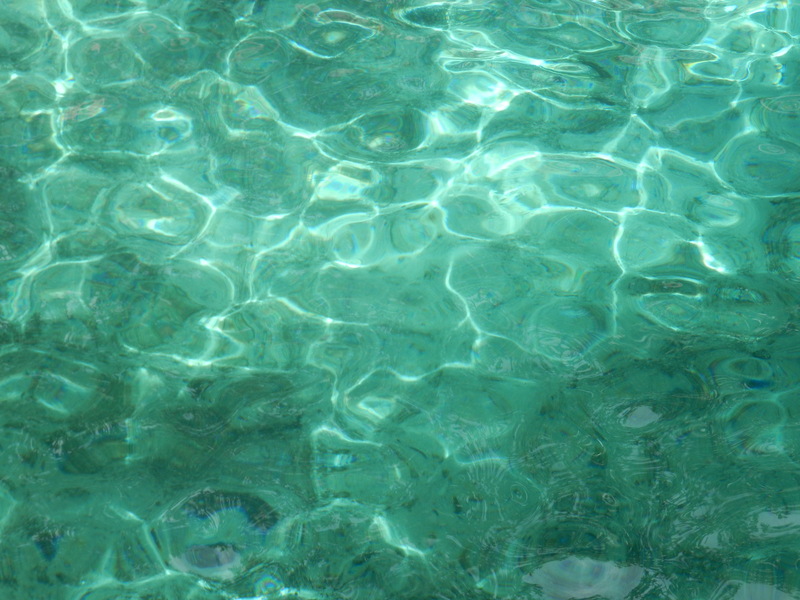 The water is crystal clear here, the waves do not cast a shadow. Instead, as they roll in, they compress into a magnifying crease that “crispens” and “closens” the rocks below, and sweep a line of light along the sea floor like the scan arm of a photo-copier. As I waded in the first day, there was a rich green, palm-size clump of sea moss floating before me, shaped like a heart, with an arrow of rust algae shot right through it. Cupid was here. But other than him… and me…and Jack, few people seem to venture into the waves. Most folks hang out in the pool, one side of which is a full bar to swim up to for libation while scarcely losing one’s position in the water volley ball game. (When you need to freshen your cocktail, just yell, “Rotate!”) The pool extends in a pair of four-foot-deep moats alongside the outdoor dining portola (an isthmus from the bar to the kitchen), and then eastward and westward alongside the porches of the poolside rooms. And me without my gondola! People wade this moat for their daily constitutionals. It is novel enough that I, myself, waded the full circuit after the first evening’s supper—because I could: the pool is mostly salt water, treated only lightly chemically during the night. The 43-room lodging area is arranged in two buildings, which come to a symphysis where the moats, isthmus and kitchen intersect, and the effect is that the exterior, front and back is like the steps of a Mayan pyramid, with each studio block forming a step. Gliding back to our cheap, third story room at the very end of one of these buildings is usually a satisfying slalom. When we get there, our window over-looks the pool and the palm trees that obstruct the view but not the roar of the sea. We get an overview of all the birdlife, feathered and not. Last night for instance the after-dinner poolside entertainment was “the Lingerie Show:” able performances in many styles…of dance and transparent lingerie. Alas, most of the night activities and entertainment encroach on bedtime for us. We’d hoped to participate in the body-painting and karaoke, but before they got going, we were both boarding the astral plane. Grackles with the rabid packet habit! They sneak up on the tea service table and swipe Splenda (and the occasional tea bag) packets, tossing aside the heavy cloth napkin draped over the dispenser to discourage this. They sometimes take a few at a time and disembowel them on the lawn. While it is a health hazard for humans, I guess Aspartame just spells party time for El Cuerva birds. Maybe they snort it. Pick your white powder, party animals. We arrived Friday afternoon here on the sequestered grounds of Hidden Beach, a Naturiste enclave sandwiched between two larger clothing-required resorts on the property: Eldorado and Sensimar. As we sat for our check-in and orientation, we were served towels soaked in a gingery perfume, and “electric lemonade,” a spiked kool-aid the color of antifreeze. I tasted but did not drink it; just the perfume was enough to cross my eyes and scramble the brain cells valiantly trying to comprehend the instructions flowing out in concierge Alejandra’s thick Latin accent: a river of words sculpted into an auditory equivalent of overly ornate penmanship. We are 90 minutes are south of Cancun. I amused myself on the drive counting X’s on the signs. Though still exotic to me, in Mayan scrabble the ubiquitous X would only be worth a point or two, rather than the eight merited in English, where X is a respectable oddity. The shuttle driver had a cooler with iced beer for the passengers, but no water. One of the passengers who opted for beer kindly gave me a fresh bottle of water from her stash when she disembarked at a resort about 20 minutes north of ours. The expressway was lined with the same “flame trees” we encountered in St. Martin. Now I don’t know their name in three languages, although I suspect they are called Flamboyen. The trip from New Mexico was uneventful, noteworthy mostly for its all on-time flights! When I arrived in Houston, swimming upstream among the throngs of gate-bound passengers, I woke up to myself feeling at home among the predominantly southern accents and plentiful black faces. I observed how different the walks were among that population, something I didn’t even know a part of me had missed. I wish I had words for the four-limbed stride of one of our long and lanky flight attendants as she arrived at the gate. There was something masculine in her long, bobbing stride that gave me Is she or isn’t she—or more precisely, Was she or wasn’t she? — moments through-out the flight. She was an attractive woman, with a big smile and long coils of Donna Summer hair; I decided she was just…athletic. If she did start this incarnation as a male, she’d worn in womanhood well and worn off any lingering testosterone corners. 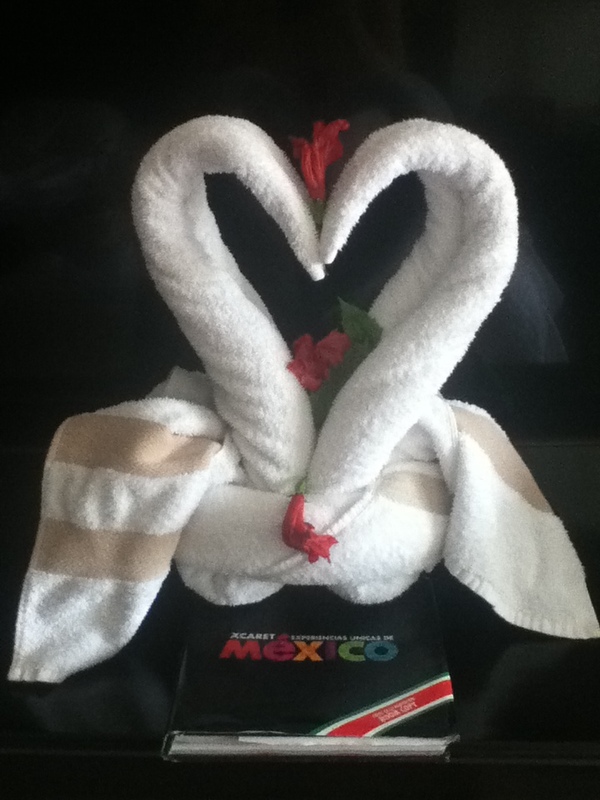 Everyone seems very happy to be here (at the resort)—guests and staff– aware of how fortunate they are. The fellows I want to tip every morning are the quiet troupe of seaweed wranglers. They start early in the day raking up the seaweed deposited on the tiny ribbon of “beach” overnight. They roll quietly back and forth with wheelbarrows as I do my morning practices on the sand. Because there would be no beach if they didn’t, they stay with the task well into the day. This body presents perpetual challenges, so, here I ride the waves, both figuratively as well as literally. A recent tendency to motion sickness renders me a tad woozy as I am buffeted about by the surf on our twice daily breaker blocking expeditions out to where the clear surf finally lifts us off the beach floor. We hang out there and ride the swells, diving into curling waves. The temperature is perfect. The trip back to shore is more challenging with the undertow, or out-draw, generating a formidable head-wind for the lower body—a leg wind. 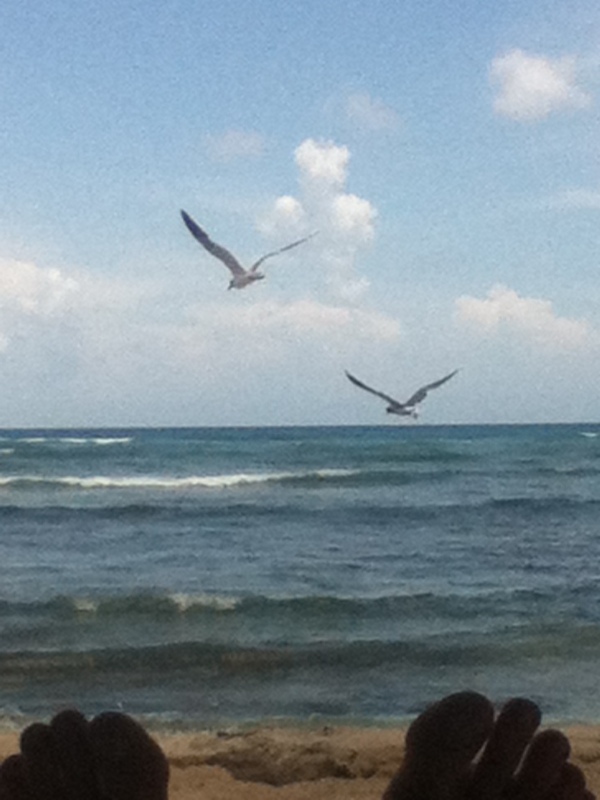 We just wait for the incoming waves, lift off and fly a few feet toward shore, like the actors in Peter Pan. Today, Tuesday (7/25), was a red flag day, one in which someone has deemed the seas too rough to swim in. After seeing no flag at all anywhere on the beach for our first few days, and not finding the surf at all daunting ourselves this morning, we didn’t even look for a flag and waded in after breakfast. We were a fair ways out, and I had just commented on how perfect the water was, when Jack noticed a fellow swimming/wading/waving our way with a little red flotilla and wondered aloud whether he was coming to rescue us or bring us a drink. 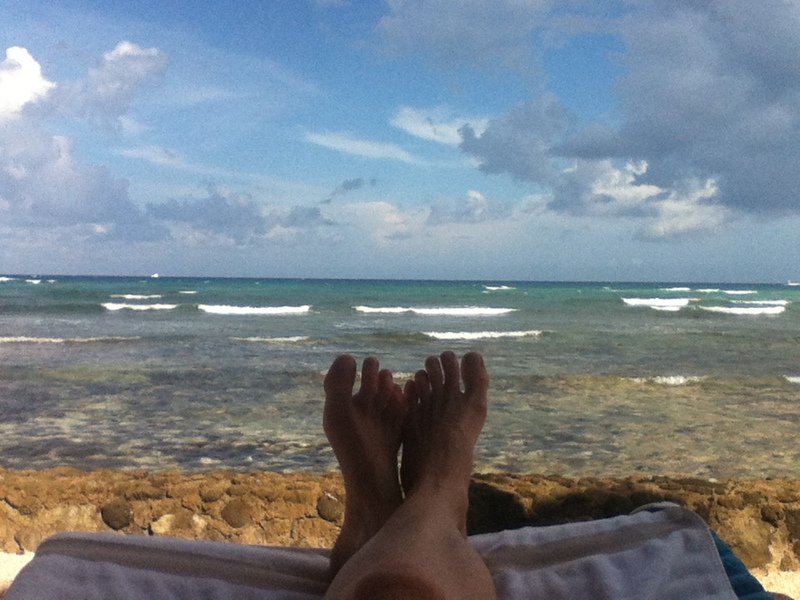 to shore, and Grace filled our day with other consolations and diversions: an enveloping wind to nap in, an impressive afternoon poolside band, and a beachcombing granddaddy iguana, who Jack mistook for a silent grackle when it first appeared beside his chaise. The “band,” The Lovers, were a talented duo, clad in his-and-hers gold sequin bathing suits trimmed in chocolate and saffron. She sang from behind her drum-kit, keeping a crisp and infections groove going the whole time. He was covering the whole base and guitar section and shaking his new-wave-bleached mop-top gregariously, a la Paul McCartney. They covered a roster of predictable party favorites—two Bob Marley standards, two Creednce Clearwater Revival, “Respect” and many others—but did so in unexpected meters and arrangements. Jack and I were impressed, even though we’d escaped down the beach a bit, to keep our napping options are open. By the time they wrapped up the set with “Let’s Dance,” “Happy,” “Personal Jesus,” and “Another Brick in the Wall,” even the otherwise motionless iguana seemed to be bobbing his head a bit. ….Could have been the wind. But, I’ve skipped a day. It disappeared into Mayan Ruins–literally. 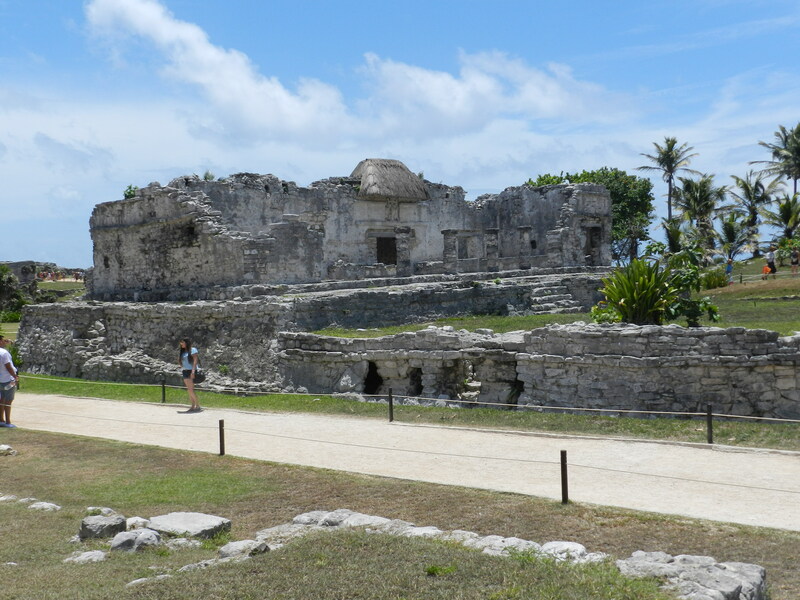 Monday, we visited Tulum and the Zazil-Ha Cenote. (A cenote is a collapsed cave full of water.) 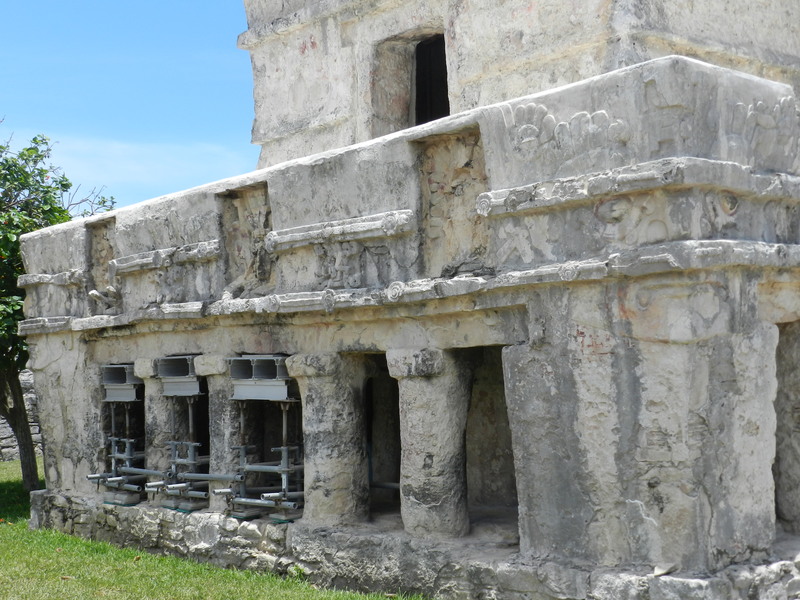 Usually, I guess, tours visit the Ruins first and then Cenote, which makes sense, given the phenomenal heat at Tulum and the cool, superlatively refreshing waters of the Cenote. But we did the reverse to avoid the hordes of children and other vacationers at the Cenote. it drew the Hallelujah. And then we were on our way to Tulum, along with some respectable slice of the world population, it seemed. We had a driver, a host and Martine, the M.C. and guide, who was very good at his job: funny, gregarious and knowledgeable. He won us all over during his on the bus banter, and then led us on a brief, interactive, informational tour at the ruins. He would enlist people to participate in his delivery, and if we did well, we got “the Blue Pill,” one of a few references to Avatar. This reminds me, if it hasn’t dissolved already from all my sweating, somebody remind me to remove my Halls mentholated mint drop from my pocket before I launder those pants. Jack got one too, for playing the savage priest in our simulated Sacrifice ritual, pantomiming removing the heart from the chest of a supplicant Navy Seal, and making some amusing screeches after some coaching and coaxing from Martin. The word of the day was Steamy. I gather that Tulum translates “Smelly Dirt.” The place was at the edge of a swamp (as is our resort, my pedestrian explorations have revealed). But it was a booming Mayan port, until the elite class vanished. When the Europeans came, only the dispersed labor class was found, living haphazardly in the jungle. The Europeans destroyed all the papyrus documents of the higher class. So, much about them remains a mystery. Funny, among the several possible reasons for their legendary disappearance that Martine enumerated, he didn’t mention mass ascension. This was one of those package tours in which one delay deprives you of the barely adequate free time to explore, swim, eat and shop. 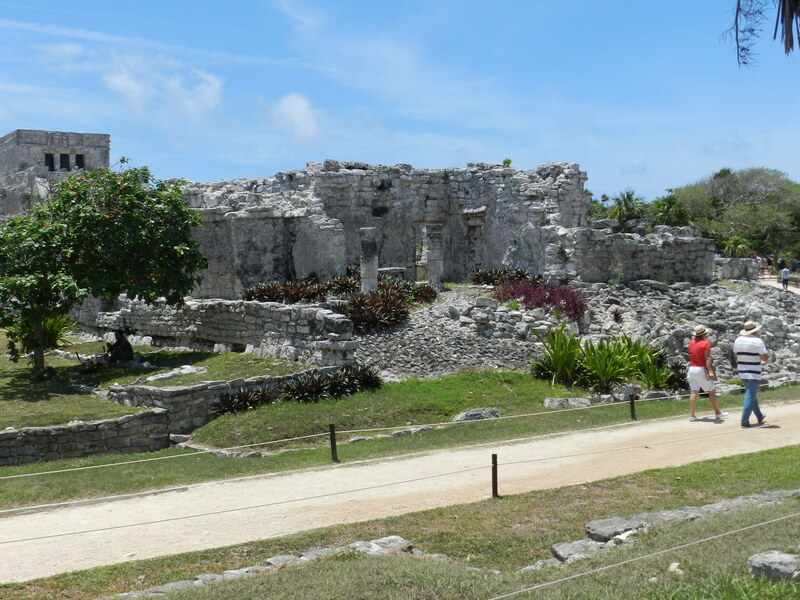 We had hoped for the promised dip in the gorgeous ocean below Tulum, or just time to actually linger at the ruins. But it was sweltering, the place was swarming with people (and iguanas), and we did not even have time to visit all the structures. Needless-to-say, I couldn’t drop in and feel any remaining energetics in the place; I barely had time to focus my eyes. But some of the patterns and fading carvings in the stone were still stirring, and the stone—grey, white and black—was beautiful against the greens of the flora and the blue-green Caribbean. The Mayans were a diminutive people (especially between the shoulders and neck), and although the attractive cobbled pathways had to wider than the originals, they were hardly adequate to accommodate the tourist traffic of us hulking Americans, Europeans, and Koreans here at Selfie Central. Most folks politely waited their turn at prime photo-op spots, passed cameras to waiting strangers for group shots, and paused their progress to avoid waling into shots. But since this was a perpetual process, progress was slow. It took concentration. Somehow, these shots have scarcely any people! That and the time in the oppressive equatorial heat was a work out, although I confess after all this time in high desert, it felt cleansing to sweat so copiously. 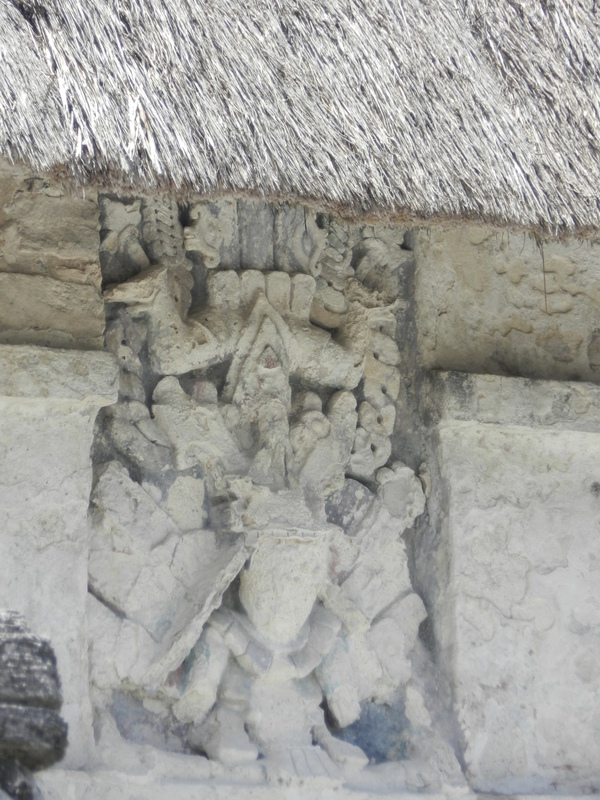 The sun god of the Maya is depicted upside down— head aimed down from the heavens. And it makes sense; you could feel the power of the sun and the heat was very much in your face! Today, Wednesday, Jack went off on his snorkeling adventure; much as I loved the prospect of snorkeling, and his report gave me a momentary twinge of regret, I knew my recent tendency to motion sickness would undermine my enjoyment on any day, and today was another day of red flags in stiff wind. I settled for an 80-minute massage within 12 yards of the surf. The style seemed designed to evoke being both the boat and the water. So I got the best of both worlds. As the massage commenced, I heard snippets of poetic conceit swirling and echoing in and out of my cranial cenote, but I was disinclined to man the nets to catch them. They never really wove themselves into a coherent poem, just sloshed and trickled about in my head until I descended below the surf of words, and then dribbled out on the page after lunch. Outside me the surf hisses, but there is nowhere Yemaya is not, as she rolls the waters of my flesh around, up, down my spine. Pliantly, I slosh where the fins of her hand… the oars of her thumbs… the pontoons of her forearms suggest. Outside the surf hisses on, but under my skin she gathers the roots of the waves; reintroducing hip to knee: lengthening the muscle, closing the dry chasm between. Cell jostles cell, and the memory of kinship becomes contagion; tired gives way to tide; past and future flee my mind and go frolic in the waves, leaving space in my skull for the sound of the Sea. I tip her 200 pesos; my smallest bill. But what is money here by an ocean that casts her old coral jewelry ashore in chunks more exquisite than coins. She was the first currency; she’ll be the last: Mightier than your dollar; Yin liquidating all Yen; turning Rubles to Rubble. “Drop your Drachma, your Drama, your Denial….Drink me. I am the YES that swallows all NOs. Tomorrow we depart. It has been a good, nourishing visit, even though I’ve felt like my fins were clipped since we have not been able to wander far into the ocean since the third day. The red flag still holds the beach, and I’ve tried not to assume they are keeping us out of the water so they don’t have to worry about watching us. I’m grateful to have had a couple of days to experience full-body ocean; nothing like it. 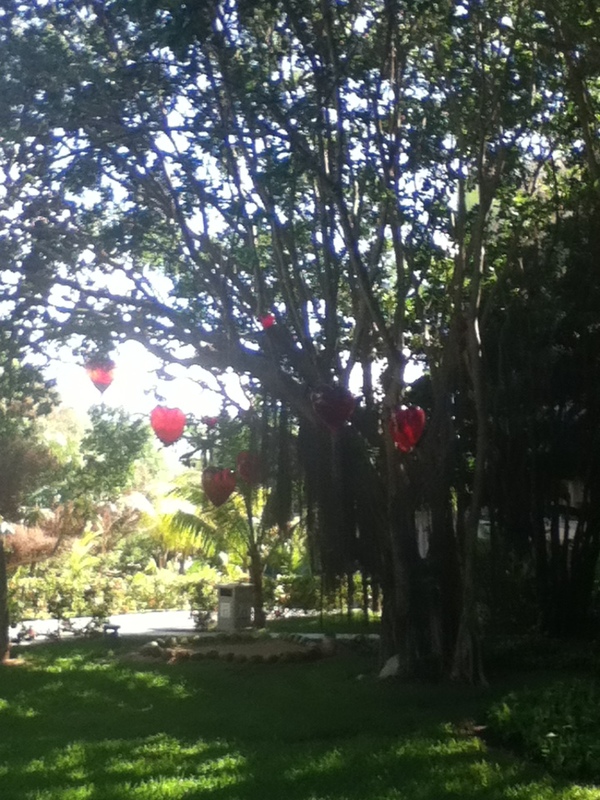 When I got here, I noticed an area landscaped with painted coconuts. It looked like Romperoom of the Jungle. I figured that this must be some craft activity for visitors, and, at last, today, I got to paint my coconut. And as untoward as that sounds, it was very satisfying. I’m sure once I leave it will be consigned to the kindergarten section; right now it is installed in one of the beds near our building and the Moonlight Bar, where we never got to do body painting or Karaoke. This will be how I make my modest mark. …Although I may have made a mark in another way. 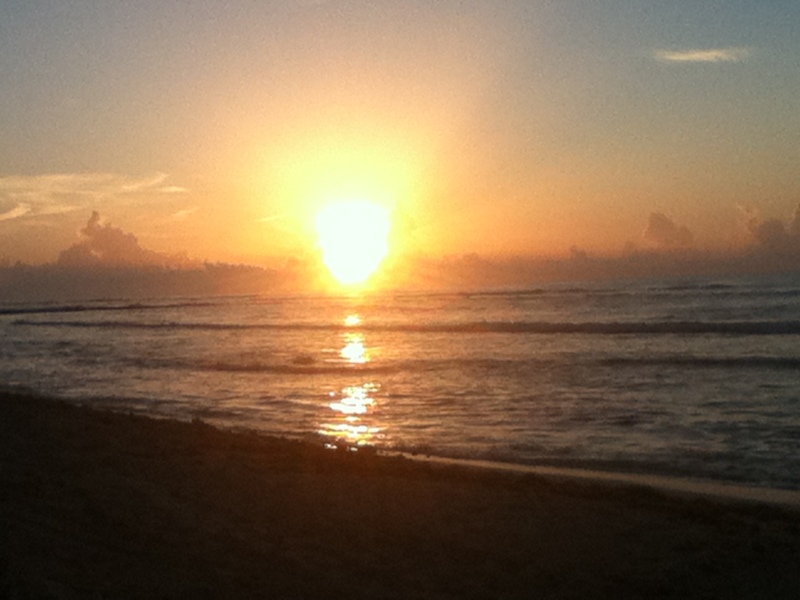 I was witnessed out there doing my practices on the beach each morning between 6 and 8 a.m. But Jack and I tended to be a social group unto ourselves, and it wasn’t until after he spent the day on the snorkeling cruise with so many of the resort regulars, and then we all dined together around round tables, poolside, for that night’s pirate-themed pool party and belly dancing presentation, that I guess we became approachable. And as I stood by the lavish table of desserts I could not touch, one question turned into a brief impromptu counseling session, as a woman thanked me and tearfully asked if she could give me a hug. She had—at last– been reading Eat, Prey, Love, on this trip. And seeing me embodying, and then in conversation echoing, many of the phenomena Elizabeth Gilbert describes there-in, made it all pivotally more real, more believable and accessible; it strengthened her resolve to give the book to her daughter, who’d just gone on medication for anxiety and claimed meditation made her “more stressed.” I could have offered a two-hour Satsang scratching the surface of these themes, but she got the Cliff’s Notes version, validating her daughter’s journey and her own, and she got that hug, which hoped to reach where words can’t go and touch her anxiety and sense of regret and inadequacy. An after these seeds were scattered, I inhaled the perfume of all those beautiful desserts one more time. They get to Eat; I get to Prey. We all get to Love, each in our unique way. Bless us every one. Friday came, and I made my rounds of the grounds and gift-shops. One more chance to see that blue-winged black bird (Yucatan Jay?) I’d been told about. No luck there, but I did encounter one of those hooded lizards who run upright on their hind legs like something out of a cartoon. He was small (compared to some of the grand-daddy iguanas I’d seen) but impressive and fast. I was suddenly in Jurassic park. …Understated Domingo and his irresistible insistence on ordering me a special dessert each night—even though I tried to impress upon him the sugar was the unavoidable culprit. It is dairy and Gluten Free! Arni, who, though younger than us, called us “sweeties” and kept me in green juice each morning. Solicitous Angel, who loved to same my name: “I miss you, Michou!” …and several more. One more thing I appreciated, though I don’t know if this was by individual choice or by company edict. When we said “Thank you,” the response was “My pleasure.” Not “De Nada;” not “No Problemo.” I know I’m not the only one peeved that in America, the epidemic among people in the service sector is to say “No problem.” My objection does not come from some superiority or class elitism, it is more linguistic, in origin, but there is more to it than that. The utterance is usually unconscious and well-intentioned, yet it betrays a flavor of lack-consciousness, and an eroding pride in or respect for service. If your livelihood comes from some sort of service (whatever it is—priest, laundry-lady, waiter, cashier, fireman), and if there hasn’t been some true problem you’ve averted, and if you see value in doing your job well, then I would hope it is a pleasure. It’s a transaction, an opportunity, not a problem. The way “It’s a pleasure” lands in the heart and closes a transaction, is quite different from ‘No problem.” Try it out. See which one packs more love per ounce. The red flag was still hanging beach side–albeit limp; I dared one last dip in the ocean. Kind of a “Can’t evict me, I’m leaving” situation. I waded out 35 feet or so, where there was a lacuna of sand amid the weedy and urchin-y rock-bottom. As I approached, I noted a school of about twenty hand-sized fish, identical in their black and yellow striped uniforms, running through their synchronized water ballet there in that spot. I moved in slowly, and they eventually got used to me. For 30 minutes, we shared the little wall-less pool, letting the tide move us about in much the same way. No one came up and kissed my toes or ate out of my hands, but it was still a gift for this girl who’d not gotten to go snorkeling.